Take a day trip out to the idyllic village of Fittleworth, West Sussex and take a magical mystery tour of this outstanding family home that is being sold for the first time, in over 30 years. Tucked away off Sandy Lane is Pooh House and gardens. The enchanting gardens have been lovingly tendered by its current owners and have at times been open to the public, offering summer adventure garden trails in just over an 1.00 acre. There is the perfect mix of formal and wild gardens, with an incredible selection of trees and shrubs, walks and elevated views. Pooh House is a charming character house comprising three bedrooms, en-suite shower room, bathroom, two reception rooms and a stunning modern fresh re-fitted kitchen/ breakfast room. 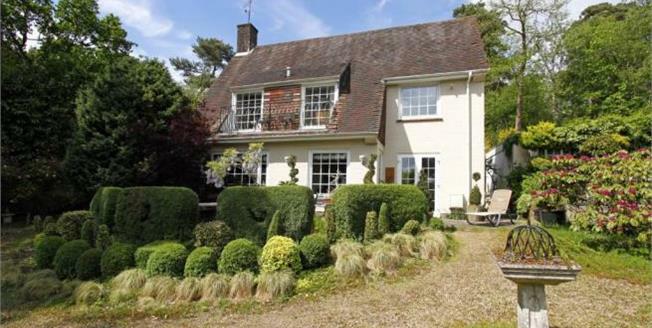 Further benefits include a tree house, various outbuildings and a double garage.